Whether you live in an area with dangerous trees, or just want to clear up an area in your yard, taking out trees is actually a rather dangerous undertaking that most people don’t treat with enough respect. Every year there are hundreds of deaths from falling trees and many more injuries. These could all be prevented if the right tools were used and people treated trees that are being moved with the amount of respect that they deserve. This is why anyone who is trying to get rid of a tree should contact a tree cutter and make sure that a licensed professional is used to remove trees. Most people are not able to tell how a tree will fall, if it is dead inside, how deep the roots are, how heavy it will be when it falls, or any of the things that are necessary to understand if you are going to be removing said tree. This causes problems when something goes wrong and a house gets crushed or someone gets hurt. However, someone who has been trained in tree removal and who spends their entire life working in the field will be able to make sure that problems do not occur and will understand the problems that come with these types of trees. This is one of the reasons that these professionals must undergo licensing exams and are serious about safety. 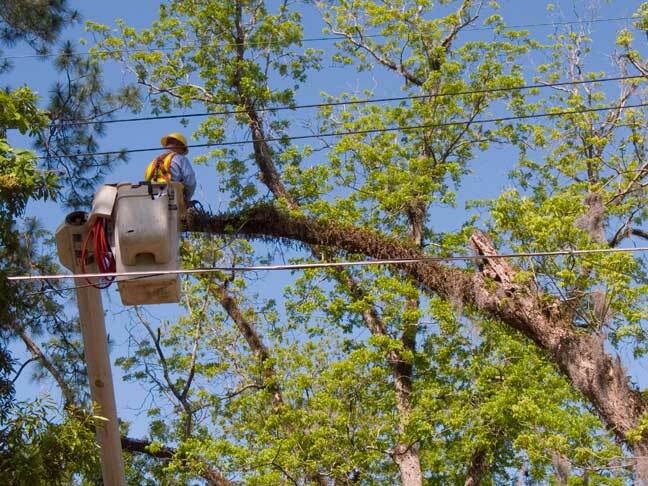 Overall, it is just better to go with a trained and licensed tree cutter to remove to trim trees. This will make sure that everyone is safe, that there is no damage, that legalities are taken care of, and that there are no problems with insurance. Tree cutting professionals usually charge very reasonable rates, giving you even more reason to contact them.